Saturn or rosary chain footage. 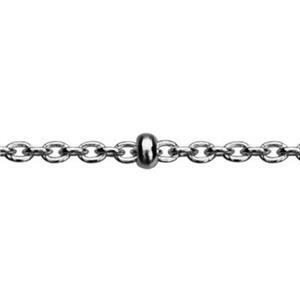 These are small standard chains with larger bead embellishments at regular intervals. Sometimes callet satellite chain. View each product detail page for specifications including the length between beads as well as quantity price breaks for larger bulk spools. Use one of our many bulk jump rings for finishing and designing. 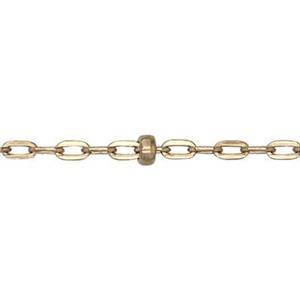 Learn How to Finish Chain Ends in our tutorial article. 4.5mm Pearls on 1.3mm Cable Chain Footage, 4.5mm White Freshwater Pearls. Length between beads 1in. 1.4mm Saturn Chain with 1.4x2mm Cubes. Length between beads .25in. 1.6mm Saturn Cable 3mm Beads Chain Footage. Length between beads 5/16in. 1mm Saturn Curb Chain Footage, 1.8mm Beads. Length between beads 1/2in. 1mm Saturn Curb, Dark Ox Finish, 1.8mm Beads. Length between beads 5/8in.